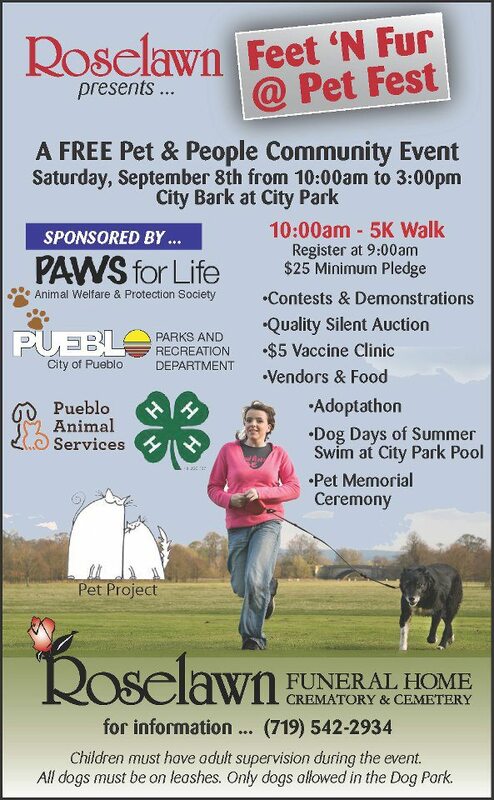 Plan on joining us for some fun at the Bark Park at City Park on Saturday, September 8th, 2012. Feet N Fur at Pet Fest will have games, vendors, a silent auction and vaccination clinic. Also plan on signing up for the 5k funwalk and gather pledges to support local animal welfare groups! WE NEED WALKERS! Go to www.feetnfur.com for more information, brochures and forms.